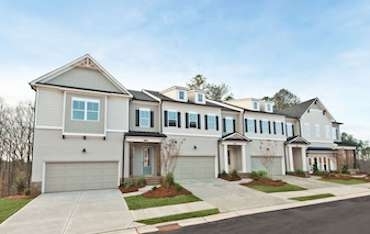 New Homes in Roswell, GA now Selling! RiverWalk, in the City of Roswell, walking distance to the Chattahoochee River Corridor and literally minutes from easy access to GA 400 is the latest coming soon gem by Sharp Residential. There will be 56 Luxury Town Home Owners in this gated and incredible location at the NE corner of Old Alabama and Riverside Road, literally across the street from the iconic Chattahoochee River including a paradise of high quality recreation and nature. This beautiful community is expertly designed with conservation in mind to include roughly 18 acres of low density, court yard sites surrounded by pristine woods and trails. Sharp Residential, since 1991, is widely known to build the most beautiful and high quality homes in the Southeast. For more information about new homes in Riverwalk, call Sharp Residential at 770-752-1860.